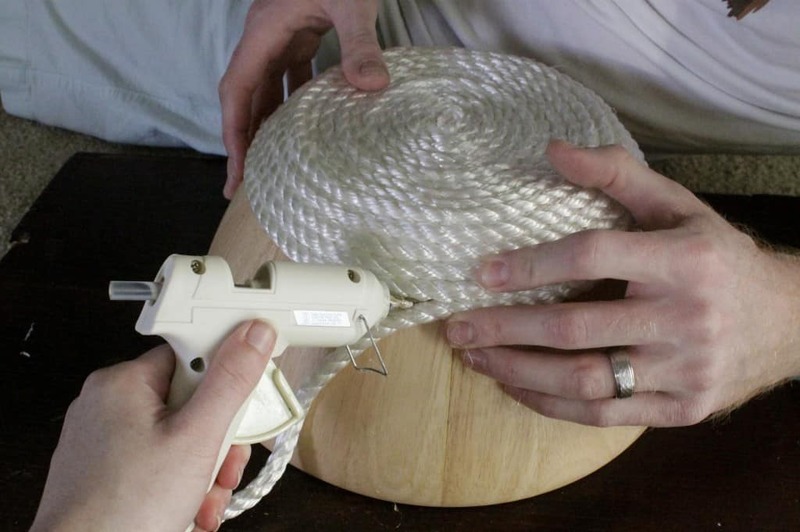 Want to make a DIY rope basket? You will love this simple tutorial! I love celebrating and decorating for holidays but I also like to keep seasonal décor that matched the style of my house. I’m sure that once we have kids, we will go crazy with colorful, non-matching holiday décor, but for now, I like for things to match. 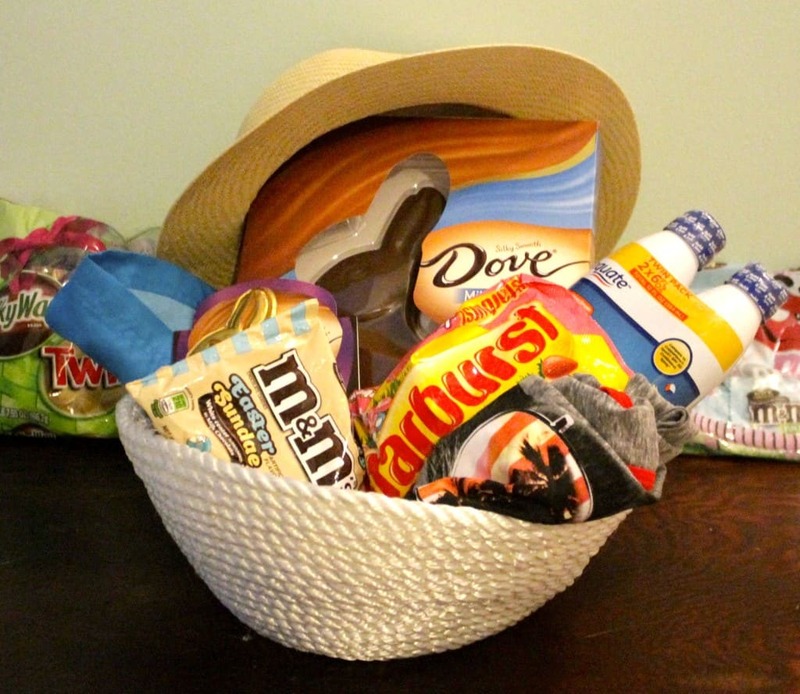 Much like we had a coastal Christmas tree, I was itching for a nautical Easter basket this year. 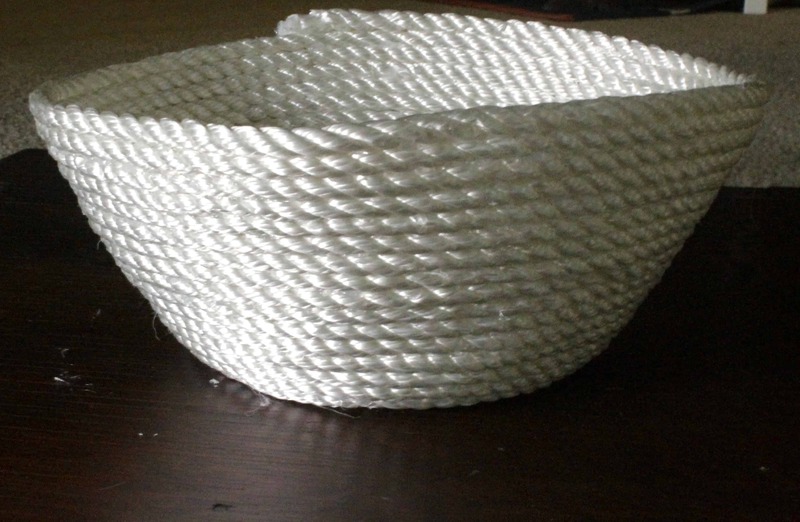 I shopped around a bit but couldn’t find anything that quite fit my needs, so I decided to DIY make one myself, and luckily for you we are here today with the tutorial to make your own nautical rope basket. I opted to make my basket without a handle simply because I liked the way that it looked and sometimes the biggest trick in DIY is knowing when to stop. We used a wooden fruit bowl as our mold and it really gave the basket a nice shape. 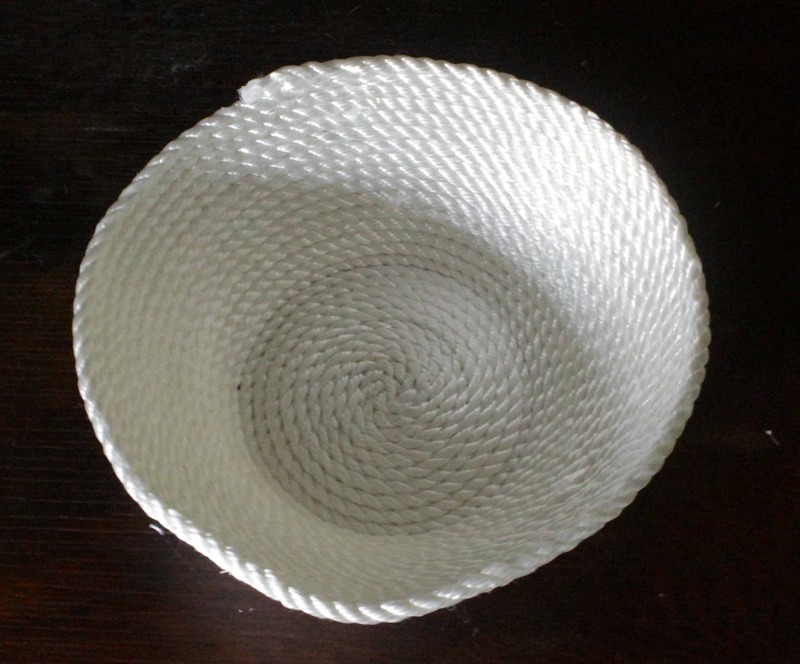 To create the bowl, flip your mold-bowl upside down and start by forming a spiral from the rope in the center of the base of the bowl. 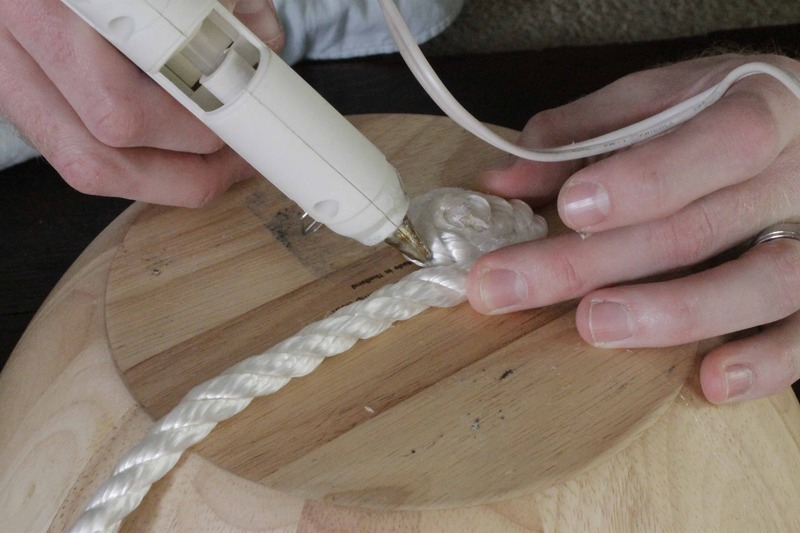 Add hot glue along the edge and continue to spiral along itself. Once you get to the edge of the bowl, start working your way down the sides. At this point we found it much easier to rotate the bowl than rotate the rope coil itself. 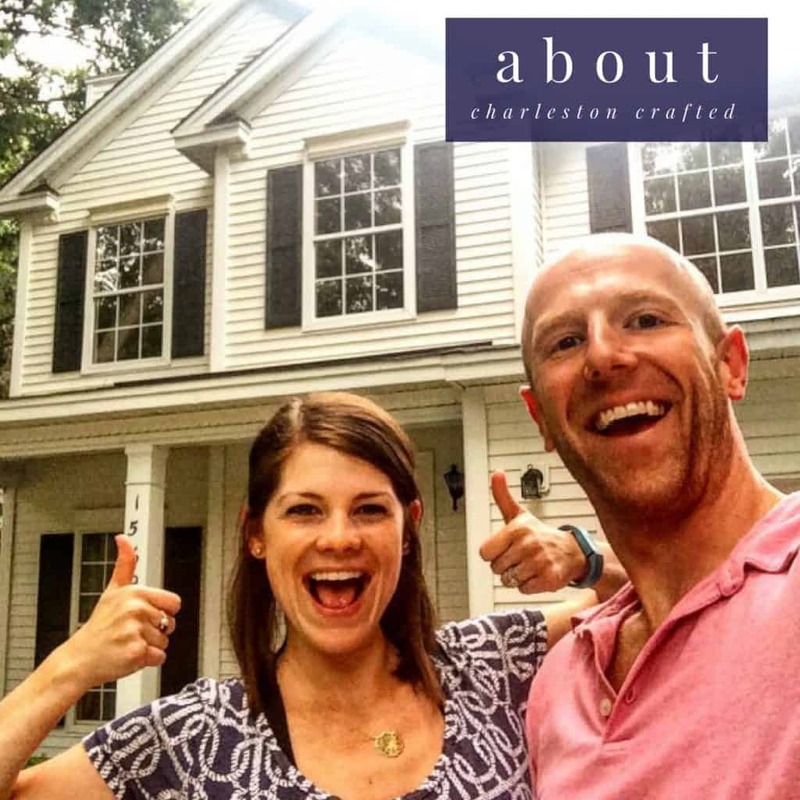 This project is not difficult, but it is definitely made much easier with the addition of a second set of hands. 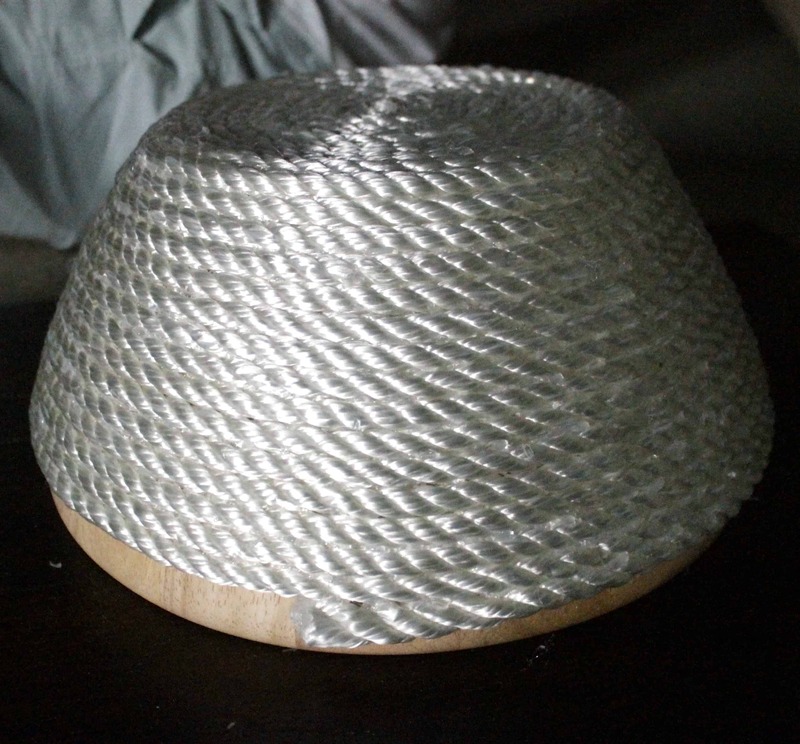 I was lucky to have Sean to spin the bowl and help push the rope together as I added hot glue. Working together, it took about 15 minutes to completely form, and thanks to the miracle of hot glue, was dry right away. 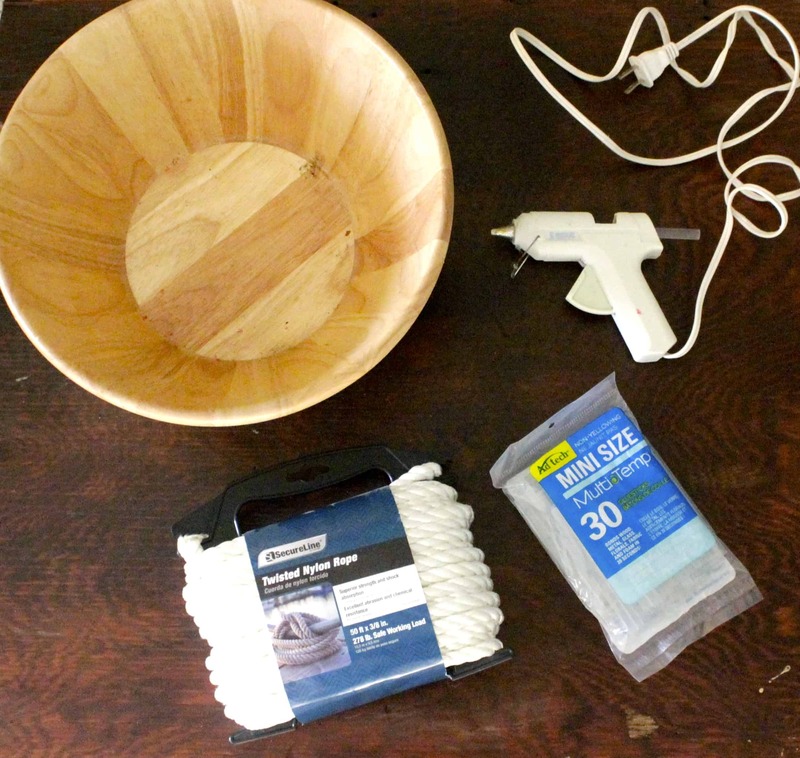 If a little hot glue gets on your mold-bowl and makes it hard to slip the rope basket off, we recommend using a butter knife to gently pop it off in those spots. M&M’s® Easter Sundae – only being sold for a limited time and exclusively at Walmart! 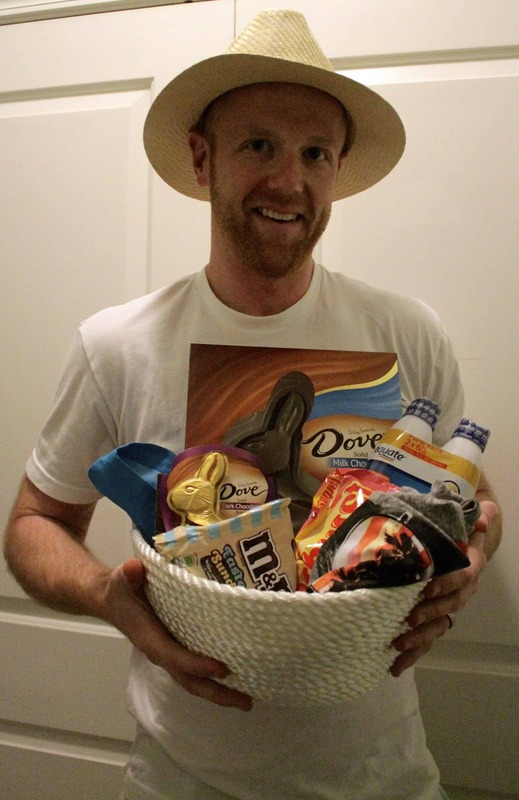 In addition to the candy, I picked up swim trunks, a funny tank top, a straw hat, and sunscreen, all from Walmart. They fit the coastal theme but will also be well used by Sean as it warms up and we start getting beach & pool weather. He has been talking about getting a wide-brim straw hat to protect his ears and neck better than a baseball cap, so I was particularly excited about that find. He loved it, too! 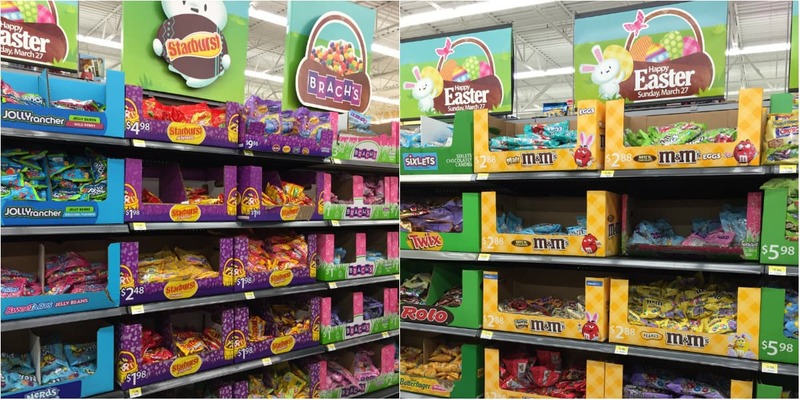 Be sure to check out all of the seasonal candy and goodies currently available at Walmart and remember to use these coupons to SAVE $1.00 on any TWO (2) M&M’s® bags, DOVE® eggs (8oz or larger), SNICKERS® or TWIX® Easter Minis (11oz or larger) and SAVE $1.00 on any (2) bags of Starburst® Jellybeans (13oz or larger). 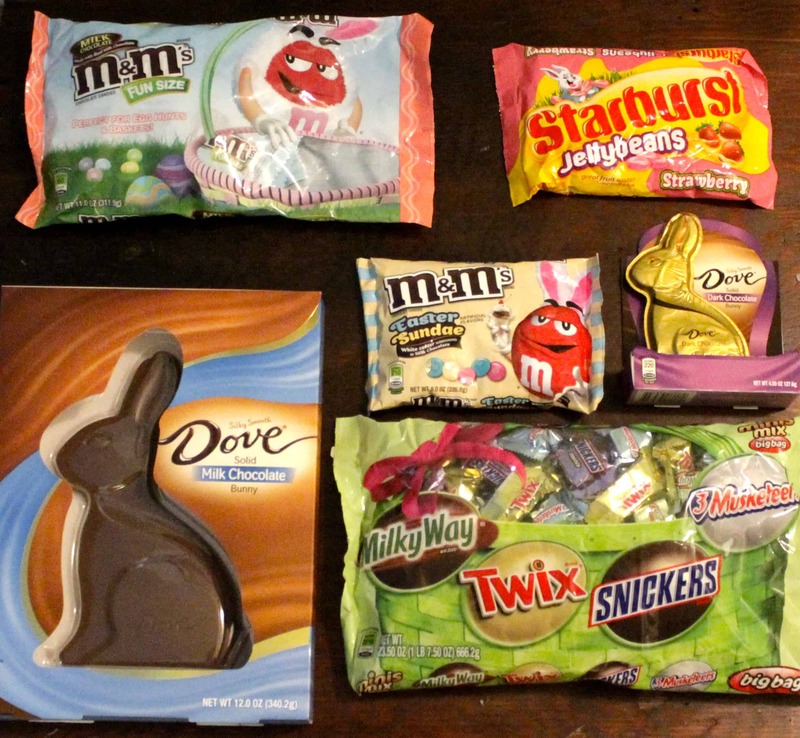 Also be sure to check out the Hubba Bubba® $1 Bubble Tape, Skittles® $1 egg, and Skittles® $1 tube. 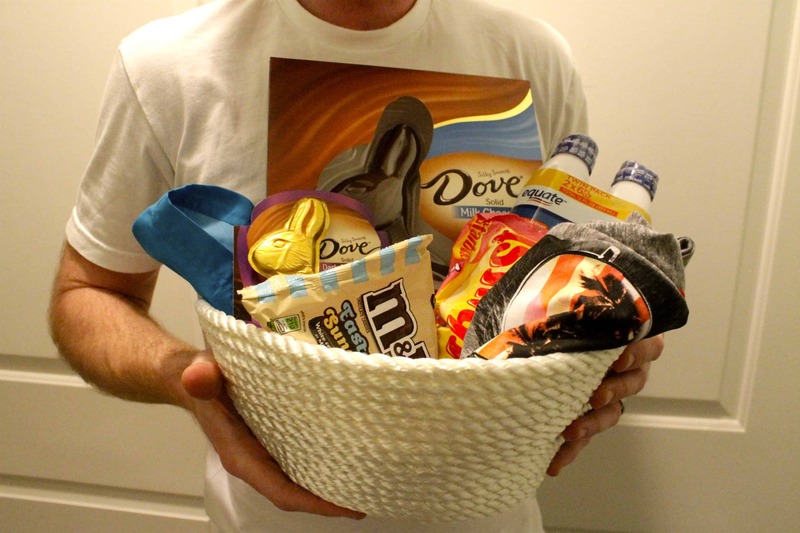 What are you putting in your Easter basket?